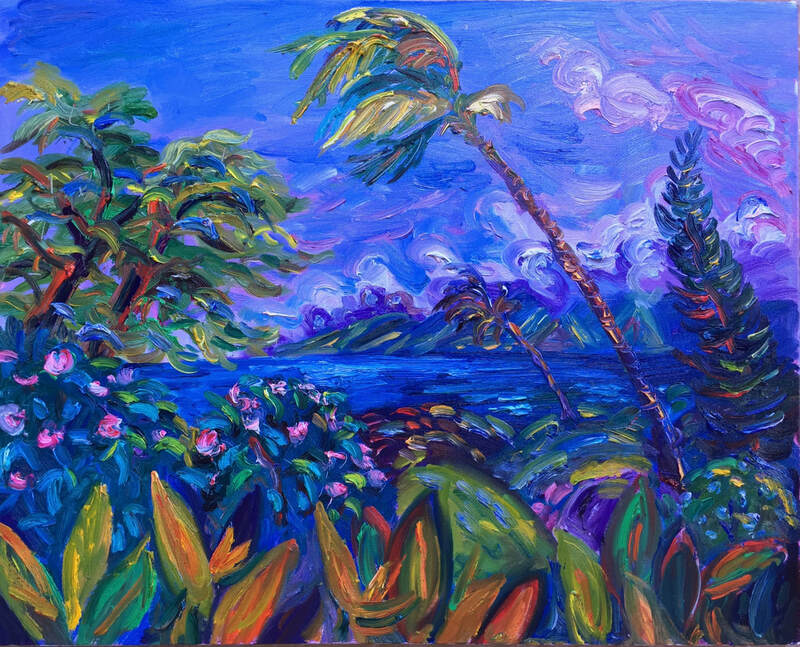 I paint directly from nature with thick, juicy oil paint, and a heightened sense of color. Changing light, wind, and wildlife make this a dynamic experience​ as I strive to capture the energy of a place with color, texture and brushstrokes. I love nothing more than exploring new places that are wild and watery. I live and paint in the Southeast but also love to paint anywhere that my truck, canoe, kayak, and brushes take me. Painting from my canoe at Alapaha Rise, off the Suwannee River. Photograph by Dominick Gheesling. All images copyright Julie Bowland 2018 © All rights reserved.